Latest OxygenOS 9.0.12 update for OnePlus 6T starts rolling out. The OxygenOS 9.0.12 for OnePlus 6T update comes with optimizations for screen display, deep integration with Google Duo, fixes bugs and bring January 2019 security patch. Download OxygenOS 9.0.12 for OnePlus 6T from below. The update is rolling out via OTA (over-the-air) and many users already getting OxygenOS 9.0.12 for OnePlus 6T. You can wait for the OTA updates, or you can Update Oneplus 6T to OxygenOS 9.0.12 manually with below method. Download OxygenOS 9.0.12 for OnePlus 6T from below. Download Oxygen OS 9.0.12 OTA zip file from above and save it on your internal phone memory. Enable ‘USB debugging’ option from setting>developer option>. To enable Developer Options, go to About phone and tap the Build Number 7 times. Now check your connection by typing the below command. Flash the ROM by typing below command. First Disabled Magisk mods and uninstalled substratum overlays and reboot your device. 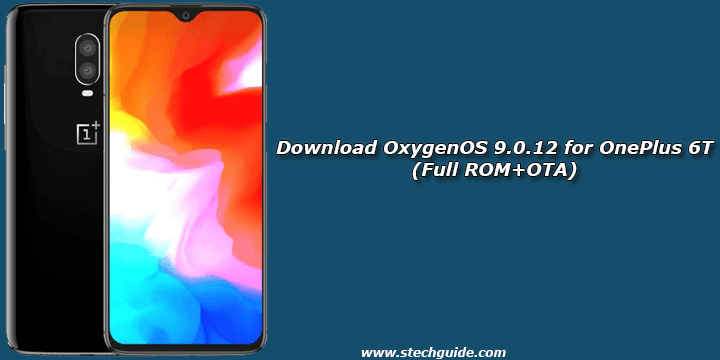 That’s all this is the complete guide to Download OxygenOS 9.0.12 update for OnePlus 6T. Have any questions? Do let us know that in the comments below. Stay connected with us via Facebook, Twitter, and Google Plus to read more such helpful posts.